I used to think Turkish towels were the best towels for travellers, but I may have just accidentally discovered something even better: the sand-free Tesalate beach towel. First, let me tell you about a crazy coincidence that occurred just a couple of weeks ago. I’m due to become a new dad any day now, and assuming that I’m going to have my hands full with a taking care of a teeny tiny human, I’ve been trying to get my Christmas shopping done nice and early this year. One of my better gift ideas was to get Mrs Man vs World one of these nifty Tesalate towels, which I read about online. Apparently they’re super compact, ultra-absorbent, rapid-dry, and sand free, which means that the sand literally slips off the bottom of the towel, so you don’t have to throw your back out trying to shake all the beach off it at the end of the day. Anyway, I added it to my theoretical shortlist of potential Christmas gifts and didn’t think about it again until the very next day when I got an email from the Tesalate team. They literally wanted to send me a towel to feature on my blog. Weird, right? It’s like fate or something. It was difficult to choose one with so many funky options available. 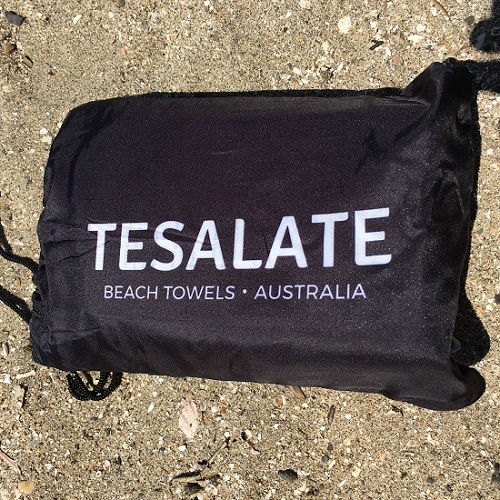 Seriously, check out the range of Tesalate towels for yourself. They’re super cool. 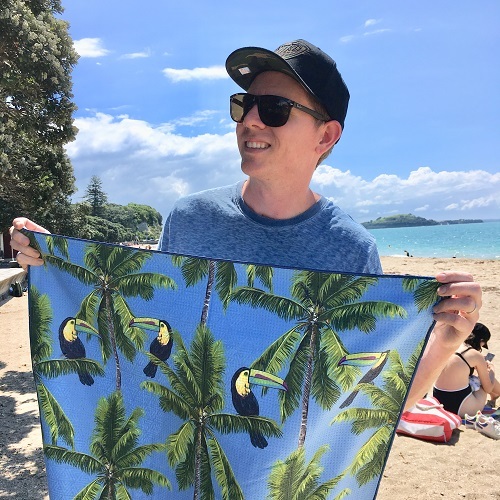 I opted for a towel aptly called “If The Toucan-Can”, which, as you can see, has toucans on it. It arrived swiftly in a neat little bag, highlighting how compact – and therefore perfect for travel – it is. It’s light, too, which is ideal because no-one wants to lug a heavy towel around. Especially when we’re also going to be carrying around various baby-related items from now on. 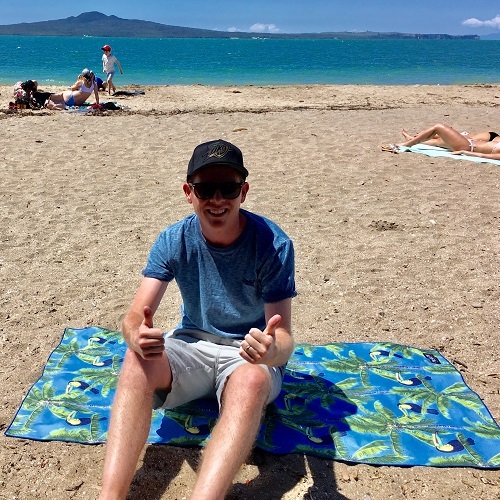 Yes, in the interests of giving you a balanced review, I did test out my wife’s Christmas present at the beach one afternoon while she was napping. It’s still too cool to swim, but I can indeed tell you that the towel did attract a few jealous glares from passers-by. It really does look fab, and the sand slipped right off like it was supposed to. While you’re here, check out my ultimate travel showdown: Vietnam vs Laos vs Cambodia.